No doubt about it, Canada has a thriving gospel music community. Some artists, such as Londa Larmond, the Quebec Celebration Gospel Choir, and the Sojourners quartet, have somewhat broken through into the U.S. gospel music market. I say somewhat, because in comparison to the long litany of Canadian pop artists who conquered the U.S. market and went on to become global sensations, gospel singers from Canada have yet to make their mark outside of their country. Warren Dean Flandez wants to change that. Although he has been active in music for many years, the Vancouver-based artist released his first full-length gospel album, Eternally Grateful, last year. 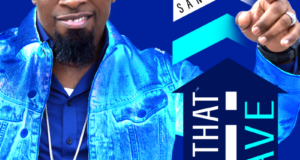 The project contains the sum total of his debut Christian music EP, 2015’s What the World Needs Now, plus some new recordings. Eternally Grateful was nominated for a JUNO Award (Canada’s version of the GRAMMY Awards) under the Contemporary Christian/Gospel Album of the Year category. 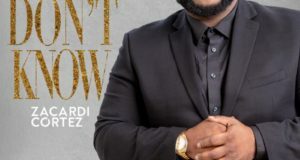 Flandez told the Journal of Gospel Music that since much of his fan base knew him as a secular singer, he deliberately issued What the World Needs Now under a pseudonym—his initials, WDF. “We wanted to test the market out in the gospel/Christian world first.” JGM gave the EP five stars. 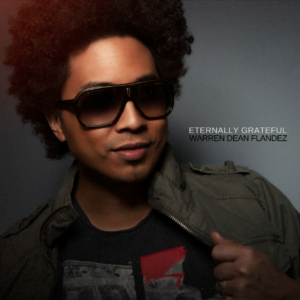 Notwithstanding his secular music success, Warren Dean Flandez grew up singing gospel music in the church. He also joined the Vancouver Outreach Community Soul Gospel Choir, whose music director, Checo Tohomaso, was a former background vocalist for Marvin Gaye as well as Lionel Richie and the Commodores. Tohomaso became Flandez’s informal mentor. Professionally, however, Flandez went pop. He selected for his manager Mitchell Davis, son of music industry veteran Clive Davis. Flandez’s debut album, Vintage Love, was rated #2 on the Toronto Star’s Top 10 R&B Albums of 2011. So he went home and started writing the songs that ended up on Eternally Grateful. Additionally, Flandez and his wife founded Top Line Vocal Collective, which he calls “fifty of Vancouver’s most celebrated voices in one choir. They go out into the community and perform as volunteers to raise money for various charities.” It is a non-faith based, non-denominational organization, but since Flandez’s influence is gospel, the choir sings a lot of gospel. 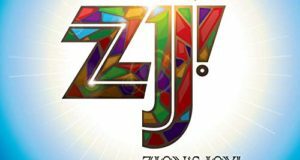 The Top Line Vocal Collective is featured on Eternally Grateful’s opening song, “Joy.” The melding of praise lyrics with an urban contemporary gospel foundation and Pentecostal “soul claps” has garnered the most industry attention thus far, and earned him a JUNO nomination. For more information on Warren Dean Flandez, visit www.wdfworld.com.